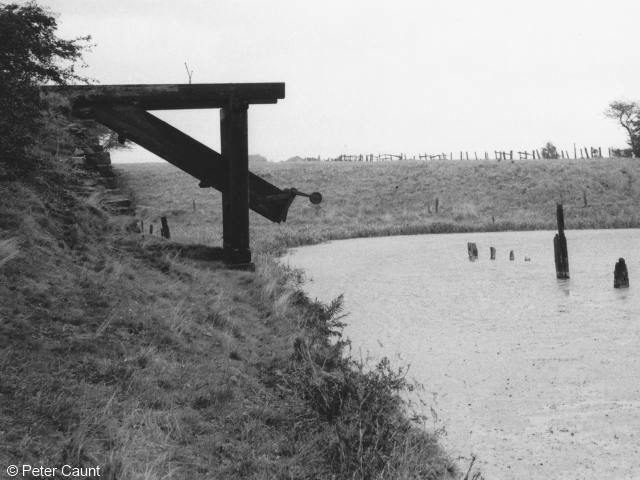 Coal staithe with waggon tippler and coal chute on the off-side of the Fairbottom Branch above Sammy's Basin. 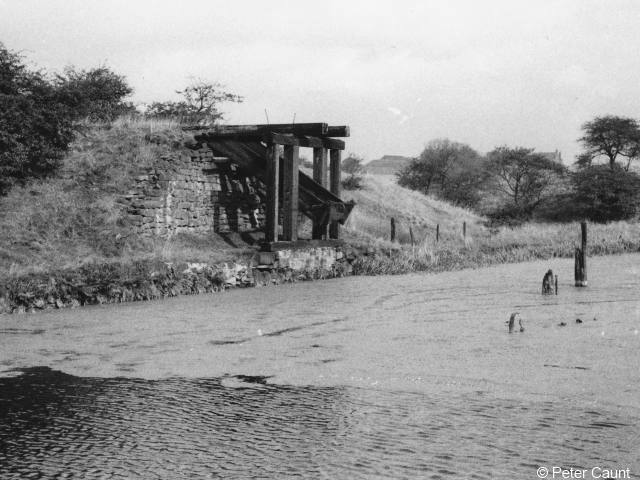 Coal waggons were brought here on a tram road from Wood Park Colliery to be emptied onto waiting boats. 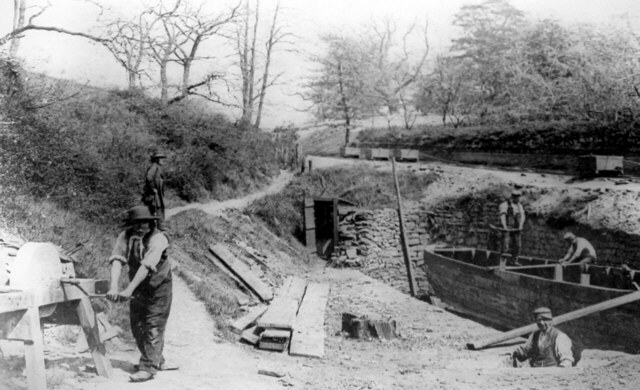 A boat being repaired in the dry dock off the Fairbottom Branch. 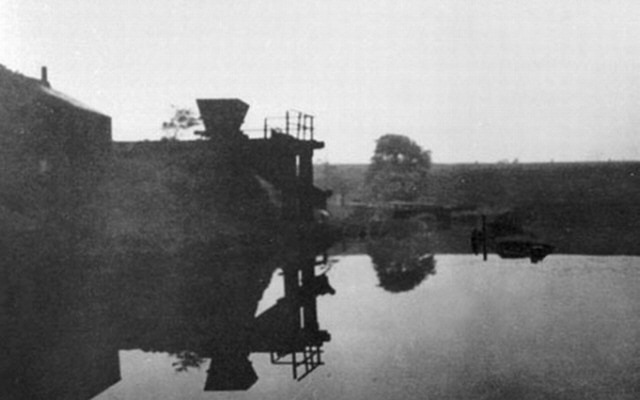 The dry dock was a continuation of a short loading arm just east of Valley Aqueduct. 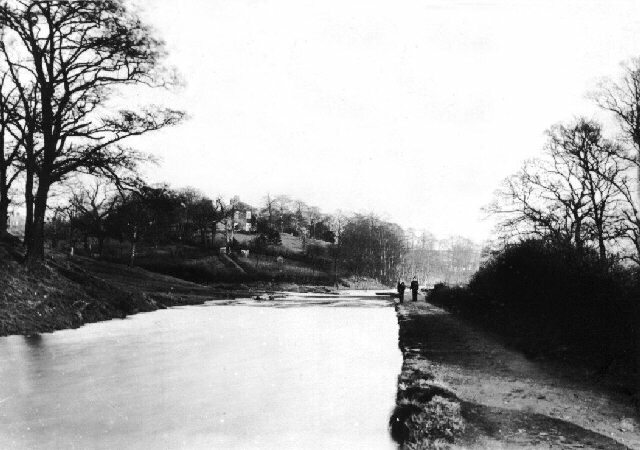 To the right can be seen waggons on the tram road that came down from Bardsley Colliery (1920s). 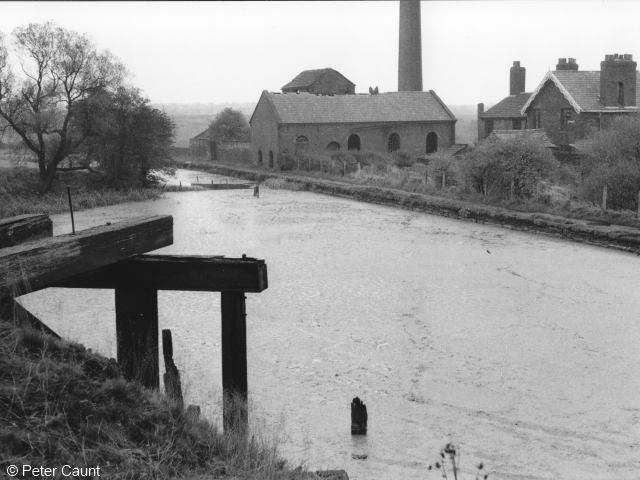 There was another dry dock near Dock Pit near Fenny Field Bridge, but no photos are available. 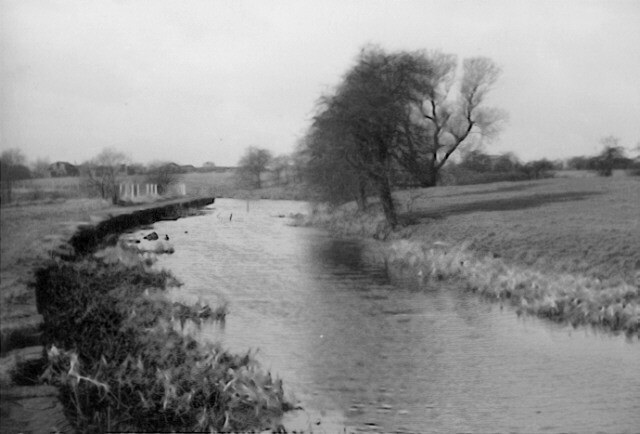 This photo is sometimes wrongly described as showing the Fenny Field dry dock. 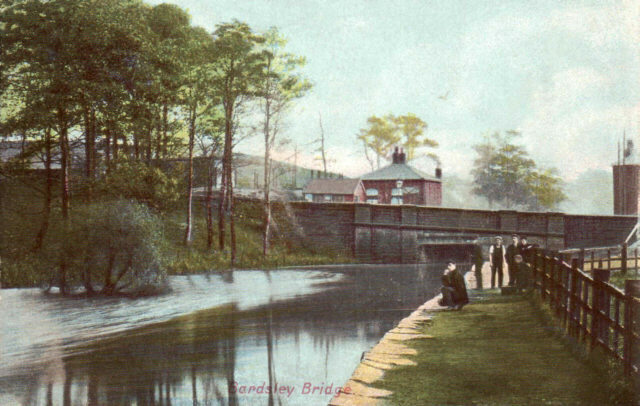 Hand-coloured postcard of Bardsley Bridge [1910s]. 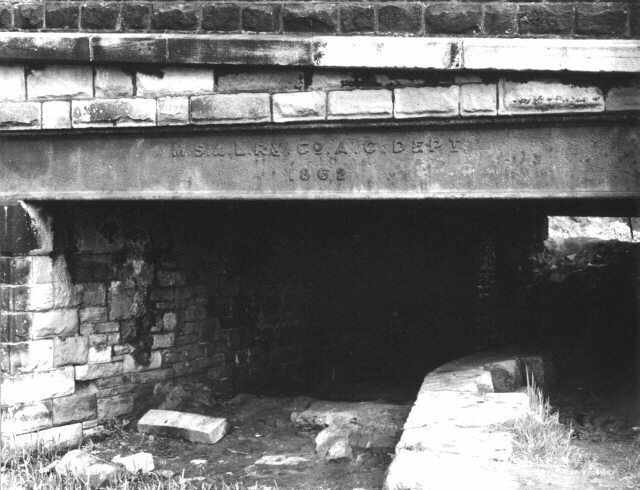 Close-up of Bardsley Bridge showing the extent to which mining subsidence had affected the levels. 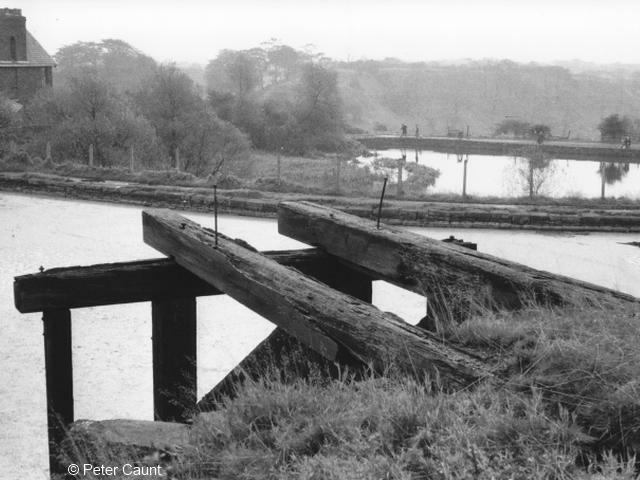 The bridge had been re-built in 1862 by the railway company which had bought the canal. The lettering reads "M. S. & L. Ry. 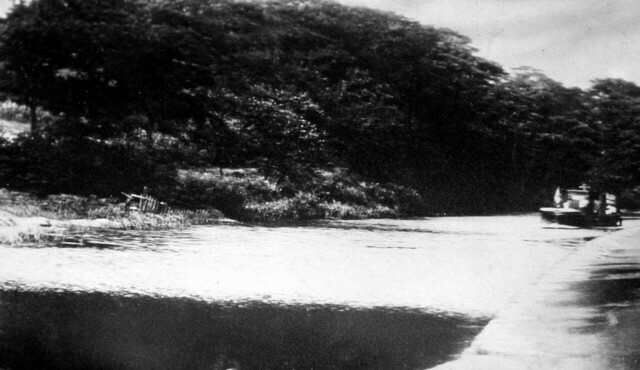 Co. A. C. DEPt." 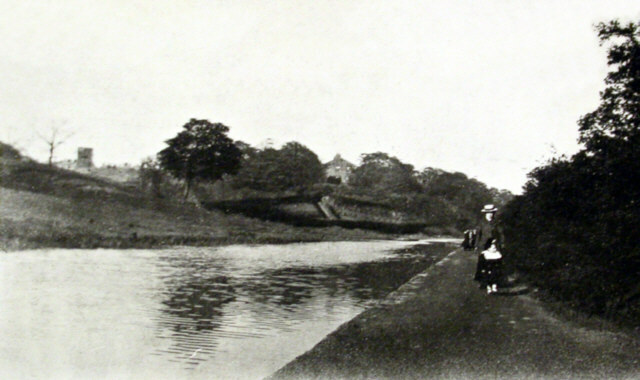 standing for Manchester Sheffield and Lincolnshire Railway Company, Ashton Canal Department.